Whether you’re at home or cruising at 30,000 feet you could be in the range of a microphone or camera. Even if someone isn’t watching or listening, they could be. The latest potential encroachment on consumers’ privacy is contained in a new entertainment system being installed on major airlines. 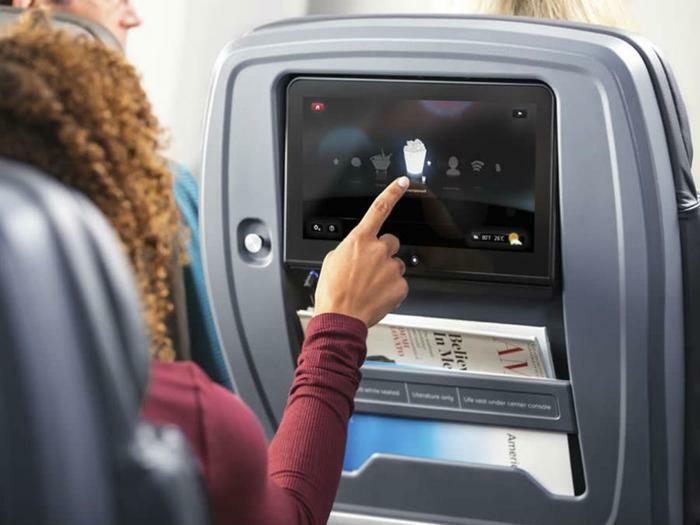 At least three major carriers -- American, United, and Singapore Airlines -- have installed new seatback entertainment systems that contain a camera. It turned out to be a camera. But why would an entertainment system on an airliner be equipped with a camera? According to American Airlines, there’s an innocent explanation. The manufacturer of the equipment has included the capability for passengers in different parts of the plane to video chat with each other. All three airlines told the British newspaper The Independent they’ve never activated the seatback cameras and don’t plan to in the future. Even so, travelers on those three airlines might feel a little better if they carry a piece of tape on board the flight and place it over the lens. Consumers who have purchased smart speakers for their homes have gotten used to the idea that the speaker also has ears and is always listening. As we reported in 2017, hackers have found a way to exploit a vulnerability in the Amazon Echo that can turn it into a live microphone. Researcher Mark Barnes said at the time that the attack is limited because it requires physical access to the device. However, he pointed out that product developers shouldn’t take it for granted that customers won’t expose their devices to uncontrolled environments. Just last week, Google Nest Secure users were surprised to learn that the home security system has a built-in microphone which had not been disclosed in any of the product literature. The company said that it was not trying to keep the microphone a secret, it just neglected to mention it. As for the cameras on airplanes, it is possible that more carriers will have the seatback cameras if they install the new entertainment system on their aircraft. You can locate the camera lens by looking directly below the video screen. It is a small circular lens in the middle of a larger circle.